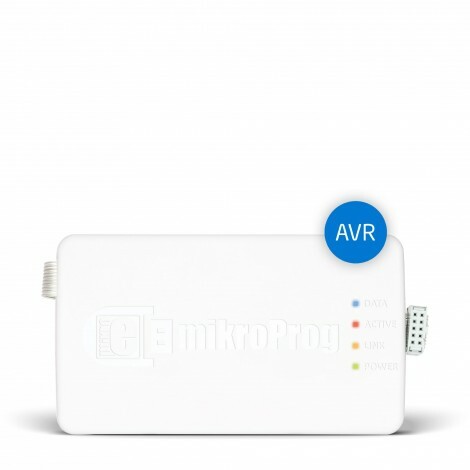 mikroProg for AVR is a standalone USB programmer for all 8-bit Atmel AVR microcontrollers. It is supported with mikroC, mikroBasic and mikroPascal compilers for AVR. Looking for customized version of this product? If you have other questions about this product contact us here. 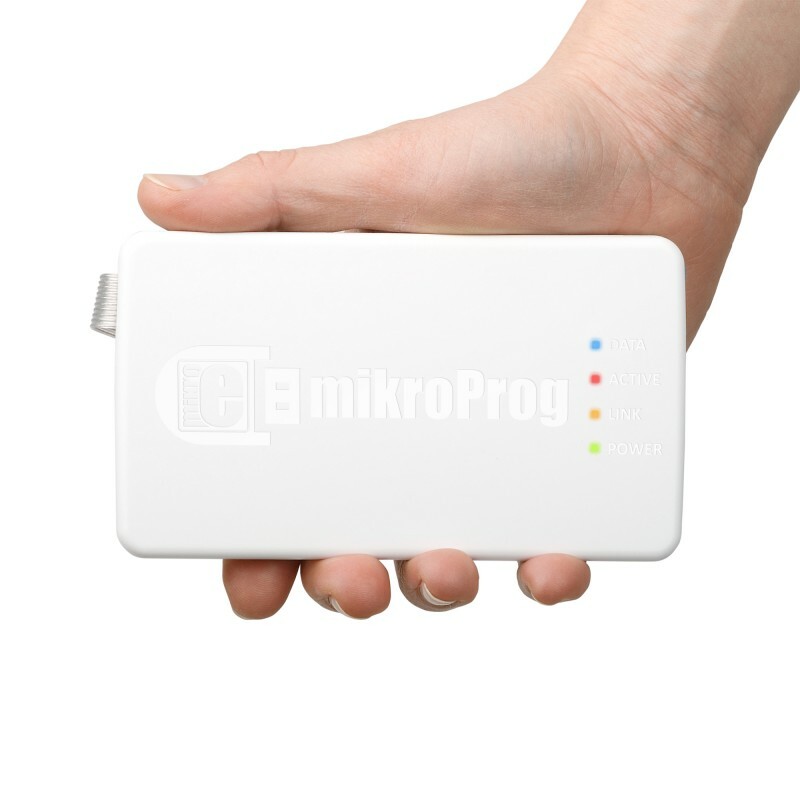 mikroProg for AVR is a fast USB programmer. Smart engineering allows mikroProg to support 92 Atmel AVR devices in a single programmer! Outstanding performance, easy operation, elegant design and low price are it’s top features. It is supported in MikroElektronika AVR compilers. Compiler Compatibility mikroProg™ for AVR® is supported with mikroC™, mikroBasic™ and mikroPascal™ compilers for AVR®. 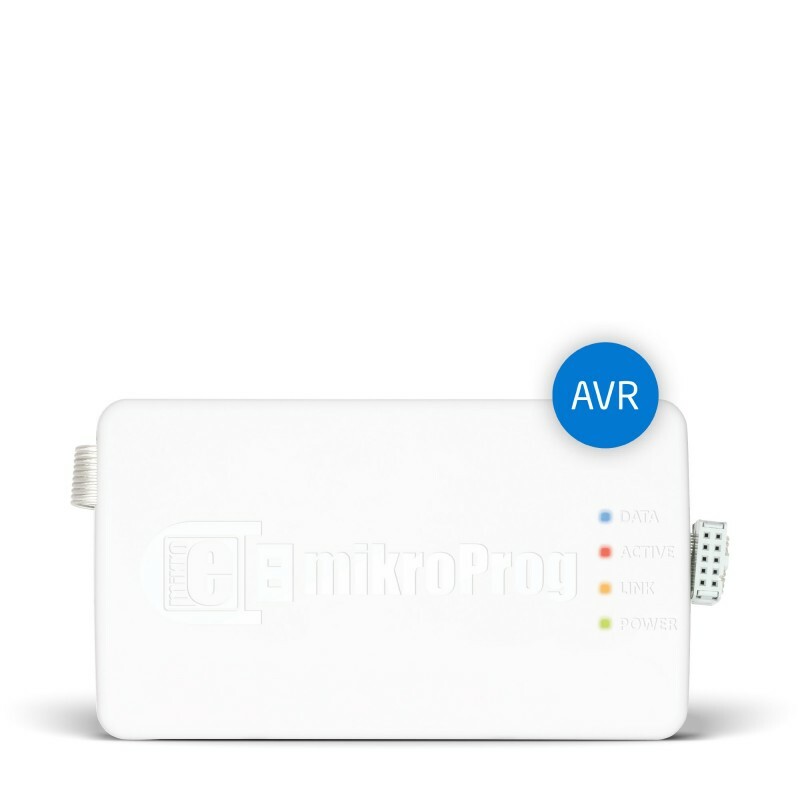 You may also use mikroProg™ for AVR® as a standalone programming tool. We made sure to retain backward compatibility with our popular AVRProg programmer. This means that you can use mikroProg™ with your existing designs or mikroElektronika development boards for AVR® where IDC10 programming headers are already integrated. How many times have you pulled the cable out of some device accidently and it just stopped working? 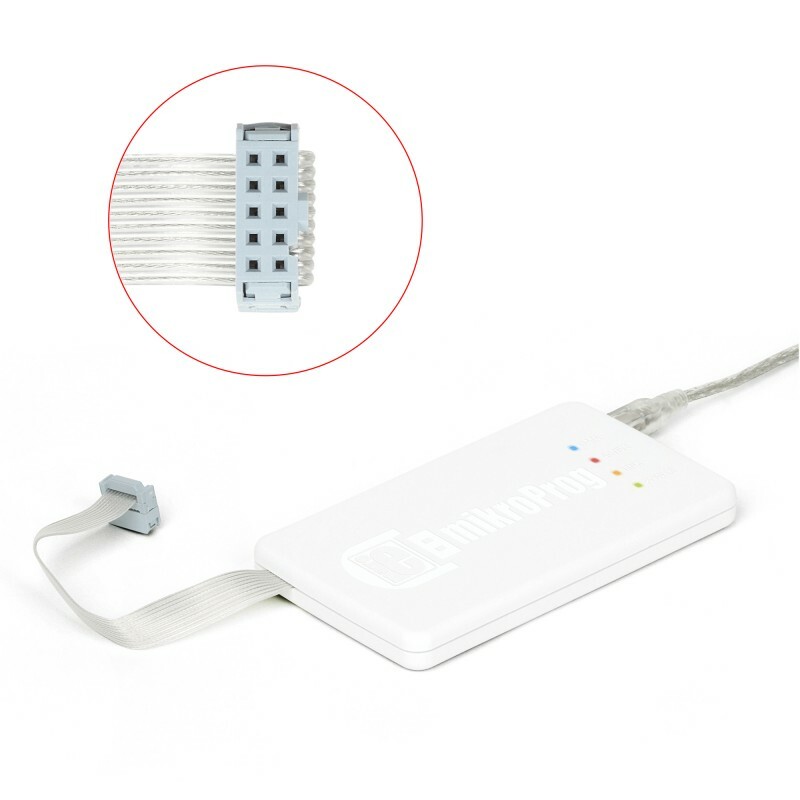 We made sure to provide a secure connection of programer cable and created a holder to tie it firmly into place. 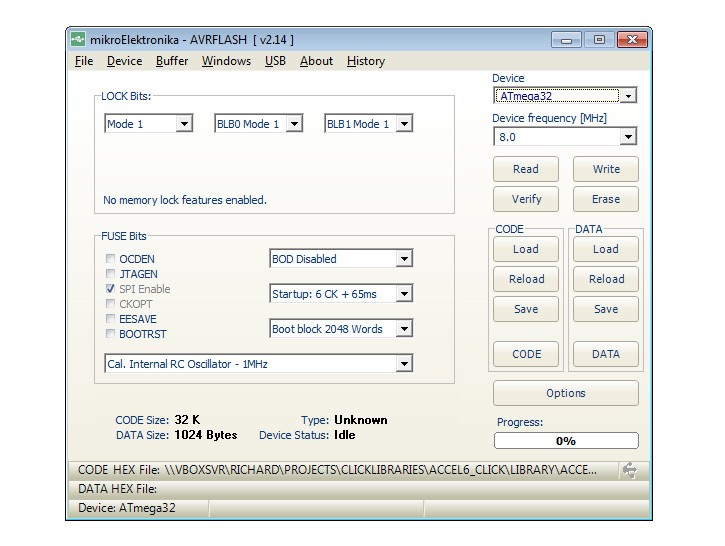 On board mikroProg programmer requires special programming software called AVRFlash. It is used for programming over 90 Atmel AVR microcontrollers. Software has intuitive interface and SingleClick™ programming technology. Key Features Almost entire Atmel® AVR® family of microcontrollers is supported right from the start. Key Benefits It is supported in mikroElektronika AVR® compilers.